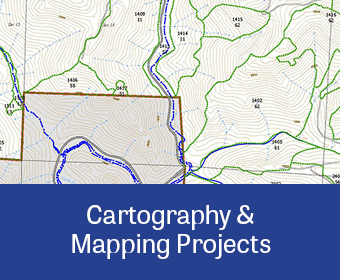 Our geospatial team develops custom mapping solutions including field maps, framable posters, presentations, and published documents. Our staff is trained in the latest GIS and graphics technologies to design and prepare cartographic layouts. This includes using cartographic software and hardware, lithography, and GIS tools that can only be combined with GIS data using expert knowledge. Our cartographers plan, design, and prepare simple to complex layouts by integrating the most recent technologies with fundamental map production principals. Each mapping project begins with an understanding of who will be using the maps and what format options are available. MB&G produces maps in a wide range of formats including letter size map books; large format paper maps and map series; web-based map services that allow users to query and interact with spatial data; and custom mobile GIS applications that provide users real-time access to their data even when disconnected from cellular and wi-fi signals in remote locations. Cartographic products require extensive and systematic quality control to assure that all information is correct, intuitive, and attractively presented. 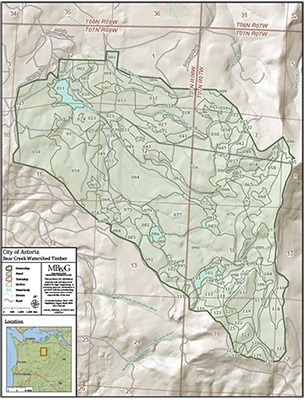 MB&G is experienced in producing and delivering high-quality error-free maps.